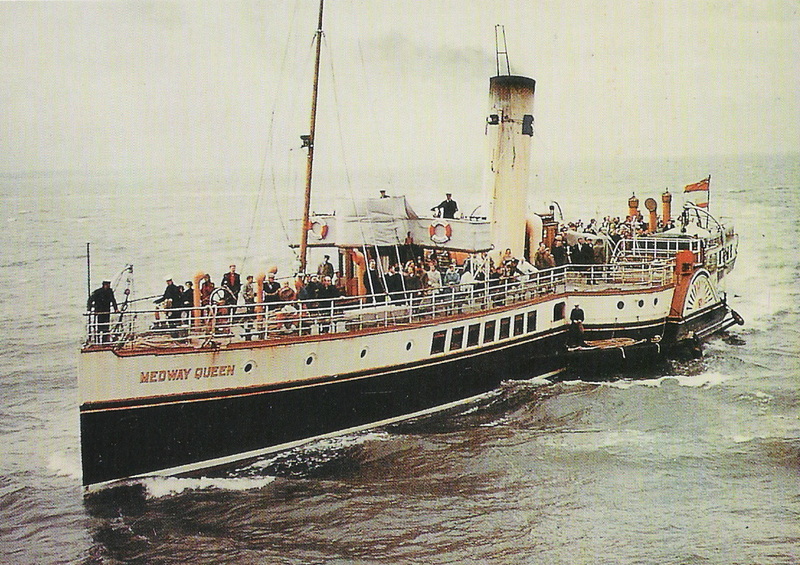 The Medway Queen was thoroughly refitted by Thornycrofts of Southampton in time for the 1947 summer season. 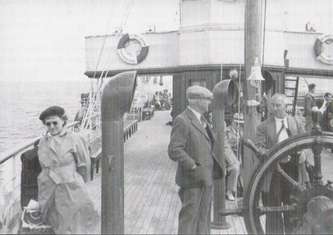 The hull was stripped back to bare metal and she was returned to her former excursion steamer glory. 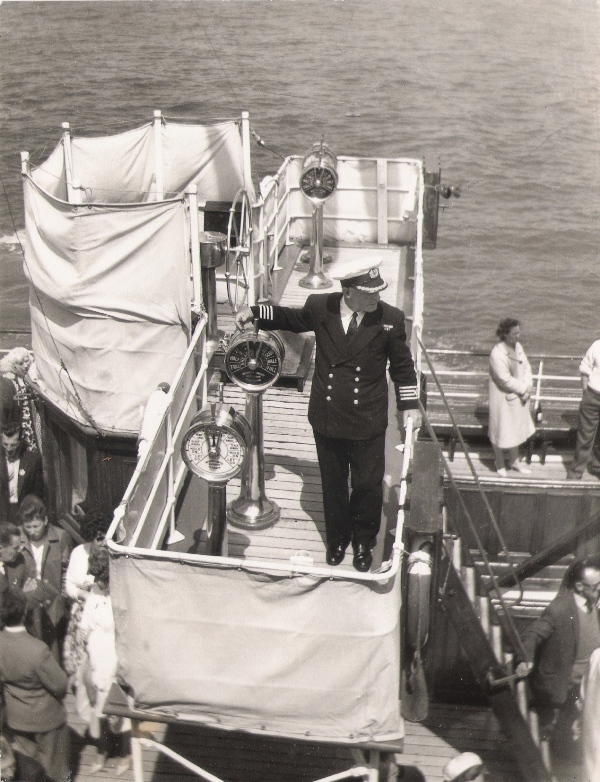 She re-entered service across the Thames Estuary to Southend on 24th May 1947. 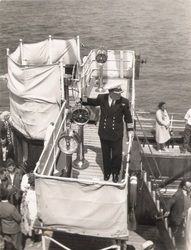 The Captain was Leonard Horsham who had previously served on the ship in the 1920s. 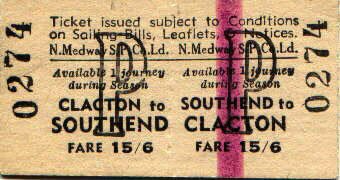 Apart from the traditional "Bucket 'n' Spade" trips to Southend, Medway Queen took part in the 1953 Spithead Coronation Naval Review running an excursion from Southampton docks for a party brought by train from London and then taking her place in the official line-up for the review. Over the years she also appeared in a number of movies including the original "Dunkirk" film. 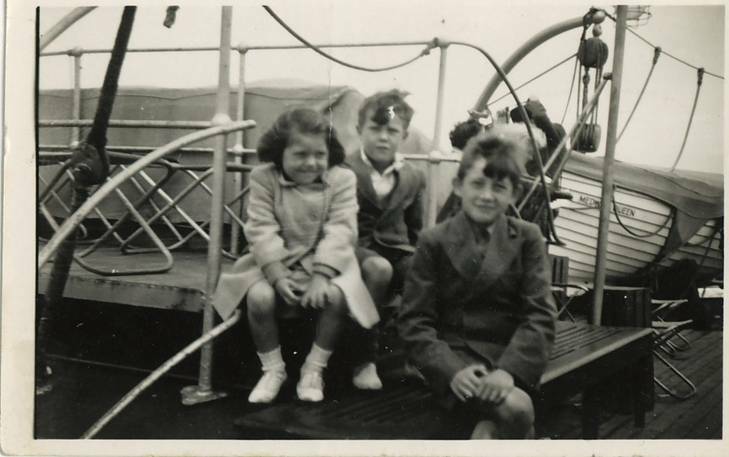 By the early sixties the paddle steamer was no longer pleasing the holiday maker due to competition from the sky; the cheap option of visiting the Costa del Sol. 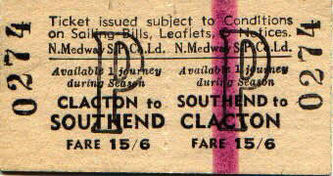 Also the craze for the motor car contributed to the decline in passenger numbers.The Medway Queen outlasted most of the Thames and Medway steamers by some fifteen years until an annual inspection which identified a need for extensive repairs.The ship made her last voyage from Southend back to the Medway on 9th September, 1963 and the company offered her for sale. 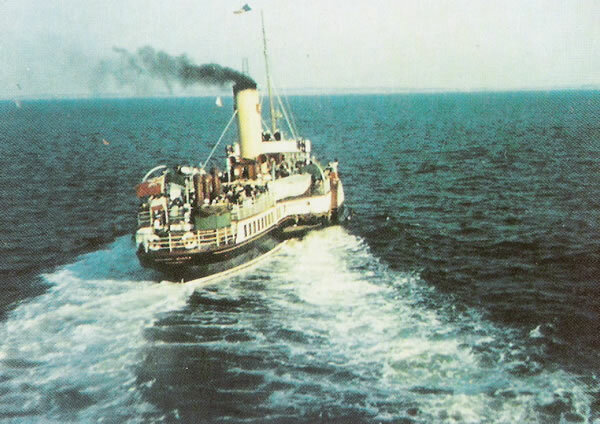 ​The Paddle Steamer Preservation Society had been aware of the ship's imminent withdrawal and was taking steps to preserve her. Meetings were held and a trust formed. 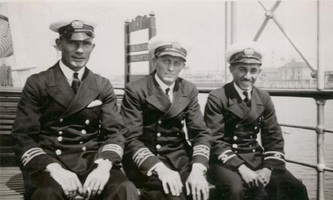 The PSPS lobbied various interested (or possibly interested) parties including the National Trust and Fortes but a further survey (undertaken by John Graves, her 1st Lieutenant at Dunkirk) confirmed that serious work would be needed to keep her sailing. 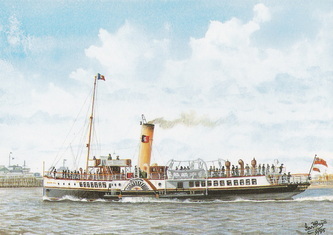 The National Trusts idea of running trips with her was not viable but Fortes were interested in making her a floating venue on the Thames. Planning restrictions and local objections prevented this scheme coming to fruition and Medway Queen was sold to a Belgian ship breaker. The Daily Mail was at the forefront of the campaign to save the ship and an Isle of Wight businessman, Alan Ridett thought she would make a suitable clubhouse for his marina development near Newport. The Medway Queen was subsequently purchased by Alan and his associates and towed to the River Medina on the Isle of Wight in 1965 where she became a clubhouse, restaurant and night club.